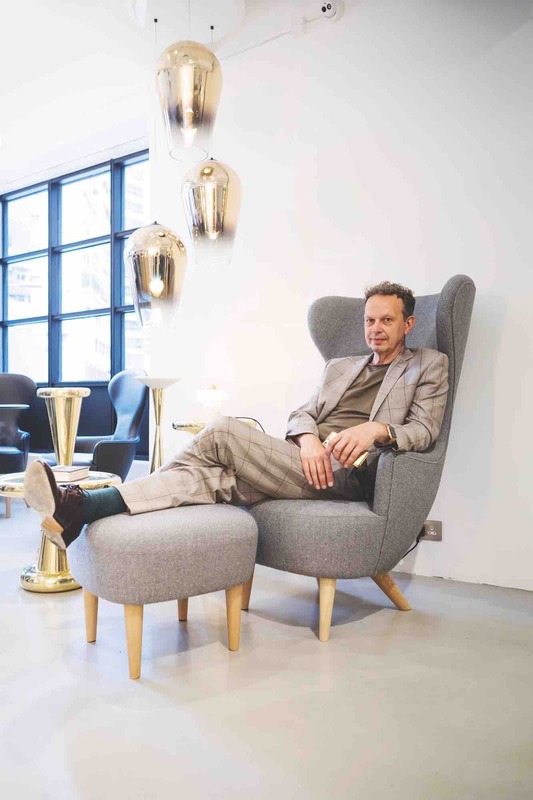 High Life catches up with legendary British designer Tom Dixon to discuss the inspirations that have guided his career. 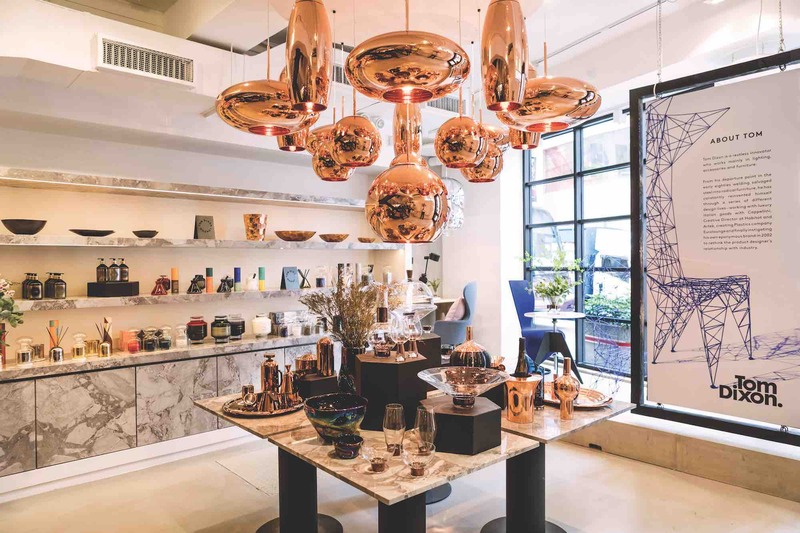 Designers translate their intangible visions into objects, space and ambience that resonate with us and become part of our life, sometimes without noticing. 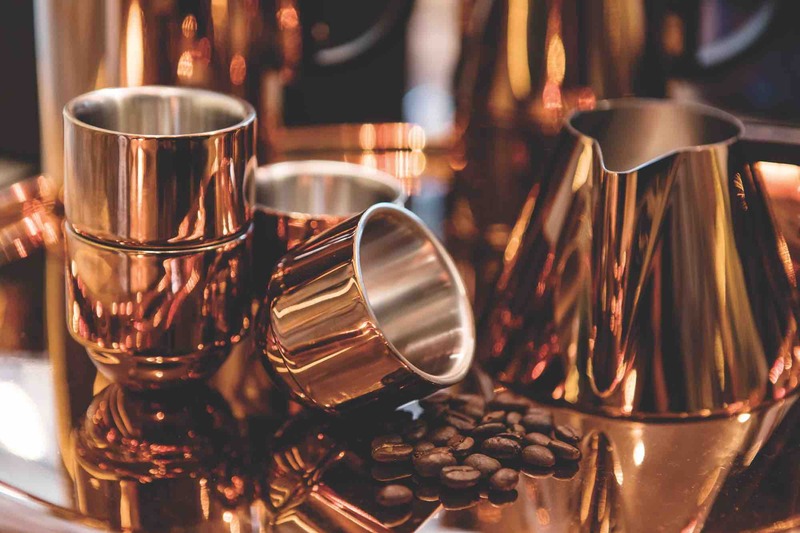 In the works of British designer Tom Dixon, which are collected by MoMA and V&A, one can also appreciate the tangible details of craftsmanship and play with materials. Every object has a story and Tom Dixon’s stories often begin in the factory. By bringing the ideas of function and manufacture together, Dixon creates his “objects”. While some may find it unnerving to attempt things they’ve never tried, Dixon says it allows him to look at things with a childlike innocence. After Italian furniture design company Cappellini visited his studio, some 20 trial and error attempts followed before Dixon’s inspirational Pylon Chair went into production. But not all his experiments make it that far. Extending his reach from industrial to interior design, Dixon reckons that while the respective processes and attitudes are different, they are also complementary. “I think it’s quite useful for us to have the two disciplines under one roof … it seems odd to me that product companies don’t have an interior design studio, because it’s a perfect laboratory for products and it gives you very direct feedback through how things function and what’s missing in the interior,” he says. This is also instrumental in foregrounding ideas about which products the designers should develop. As he considers it too difficult to be a perfectionist, Dixon employs others to strive for perfection for him. Unlike most perfectionists, he doesn’t become obsessive if something isn’t right. Having his own company is an advantage when Dixon wants to do something “pure”. When working with other companies, however, he respects and understands their superior expertise in their field just as he has in his own. “You can learn a lot from other parties,” he says, noting that in factories he has seen engineers, manufacturers and craftsmen making specific tools to produce unique things. “There haven’t been many specifically British styles in interior design since the Arts and Crafts Movement in the 1870s,” Dixon observes. Having said that, he considers Britain a “very creative kind of nation” that has become less interested in manufacturing while design has become something of a service export. He believes it doesn’t matter where one’s inspirations come from as long as they can be translated into the physical world. “You can draw on Victorian, punk or cosmopolitan attitudes and on other disciplines like music and cooking, to reflect British behaviors and attitudes,” he says. In the early days, when he was just making things for himself, music had a significant influence on his design work. “I don’t really care what others do – my perspective comes directly from what we do in the music industry,” he adds. Dixon isn’t concerned about wide recognition for his achievements.